Under Construction Releases Emotional And Powerful Video Of Lecrae's "I'll Find You"
We dare you to find a better duo! There's a sort of undeniable allure to a well delivered rap flow paired with gorgeous lead vocals. While the combo has been around in music for some time, the last few years have produced a bevy of inspiring performances that have been big on artistry, while simultaneously eliciting a major emotional response. At least that's how we feel about this performance of Lecrae's (featuring Tori Kelly) "I'll Find You" by Harvard's Under Construction. 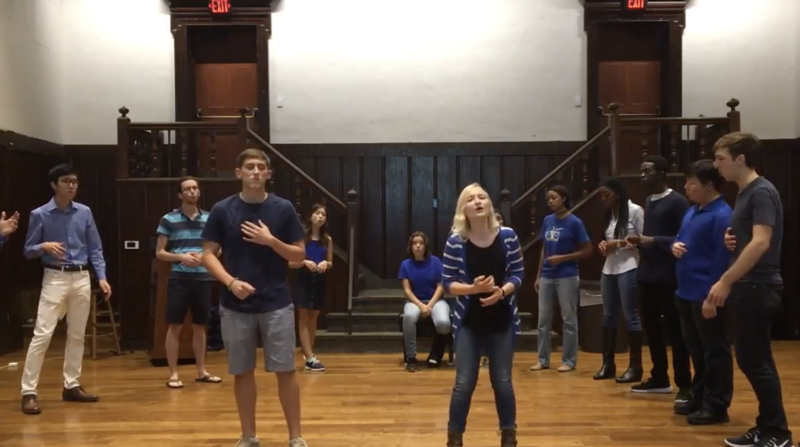 The song selection couldn't have been more perfect for the coed Christian a cappella with its deep message and versatile vocal styles. Last year the group took part in our broadcasted series "Aca Live" showcasing gripping vocals through purposeful music. And their latest release is taking us about to that faithful performance and giving us all the feels. Olivia Phillips and Will Evans are a wonderful tag team whose voices play off of each other so well. Phillips with her warm and rich vocals that can switch to complete power, oozing with emotion at a moment's notice, and Evans with his effortless flowing skills that sound both uplifting and fitting of today's rap scene. The pair's job is made all the easier thanks to Under Construction's backing sound, which holds the audiences attention from beginning to end with an arrangement that has momentum, colorful layering and a well-controlled balance allowing each part to shine. It's an engaging video that will no doubt move you.